I read this article and found it very interesting, thought it might be something for you. 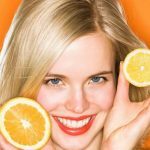 The article is called Homemade Face Masks For Dry, Oily And Normal Skin With Oranges and is located at https://homemademasks.net/beauty-blog/homemade-face-masks-for-dry-oily-and-normal-skin-with-oranges/. Oranges are citrus fruits with a moderate acidity with tonic astringent properties. So if you have a dry skin and you are frequently using oranges in your face masks you might risk getting your skin in a dryer condition, if not combined with the right ingredients. Therefore when preparing a mask, we must create a correct balance between the ingredients. Adding some particular dairy products or oils in an orange mask will definitely help a dry type of skin. Furthermore, another GREAT advantage when choosing oranges for our treatments is their aptitude in helping the skin rebuild collagen (which is responsible for keeping the skin firm as well as preventing premature aging). Women with oily skin will for sure come to love these fruits, as the essential properties in oranges clean the pores from sebum and prevent pimples and infections. Vitamins C, B2, B1, B6, minerals, iron, calcium are just a part of the contents of oranges. Even normal skin can benefit from the use of facial oranges treatments, the effect being a brighter healthier looking skin. Dry skin needs special care with intense hydration because of its constantly dehydrated feature. This type of skin is more prone to early appearance of fine lines and wrinkles as it can not retain in its structure hydrating substances and the sebaceous glands do not produce enough sebum. Try this mask by giving yourself a few minutes every week and your skin will become noticeably more hydrated and soft thus reducing the risk of premature wrinkles. This mask helps oily skin by cleaning the sebum from your pores, reducing blackheads & removing stains. The astringent action of oranges will help acne tendencies skin as well. A good way to obtain or maintain a beautiful complexion is through providing regularly the nourishment suitable to your skin type. Applying a natural mask on your face shouldn’t be seen as an indulgence but as a necessity for your skin. Even a normal skin type needs attention, if you want to keep it looking beautiful. With this natural simple mask you can keep your skin luminous and toned and the difference will be immediately noticeable.